Soekarno Hatta International Airport is 23.4 km away from this apartment building and could be reached by driving for 40 minutes; 11 minutes driving to Kampung Bandan Station and Kemayoran Toll Gate could be accessed by 8 minutes driving (5.2 km). Other strategic location such as Jakarta International Expo (JI Expo) could be accessed by 11 minutes driving (5.8 km); 11 minutes driving (4.9 km) to Mata Elang International Stadium. 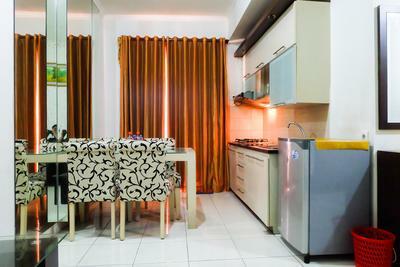 This apartment located near to Taman Impian Jaya Ancol and could easily be reached by driving for 7 minutes (1,7 km). You can visit some tourist attraction there such as Dunia Fantasi (Dufan), Atlantis Water Adventure, Marina Beach Ancol, Sea World and Bandar Djakarta Restaurant. 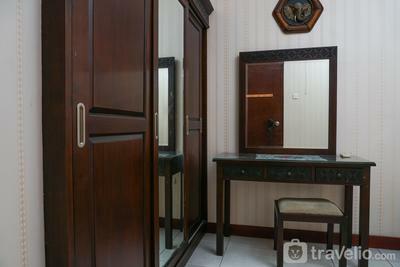 Cultural and historical site kota tua could be accessed by 13 minutes driving (4.1 km). You can explore varieties of museums such as Jakarta History Museum, Museum of Bank Indonesia, Museum of Bank Mandiri, Wayang Museum and Museum of Fine Art and Ceramics. The nearest shopping centers to this apartment building are ITC Mangga Dua, Harco Mangga Dua, WTC Mangga Dua, and Mangga Dua Square which could be reached less than 15 minutes by driving (4.1 km).